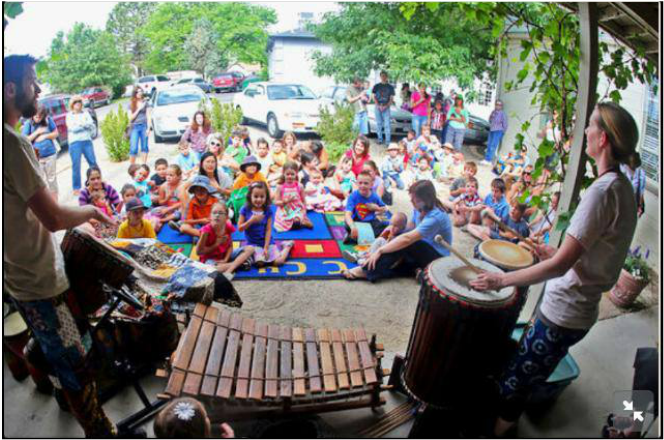 on cultivating life through music and education with children, families, communities and businesses. Brandon and Teryn Draper met while studying percussion in college. Dating turned to marriage and now 18 years later along with 2 beautiful daughters Eva and Ivy, they make Kansas City their home. Teryn is a 1st grade teacher and Brandon is on the music faculty at the University of Kansas in addition to performing throughout the US. To learn more about Brandon view his personal website here. 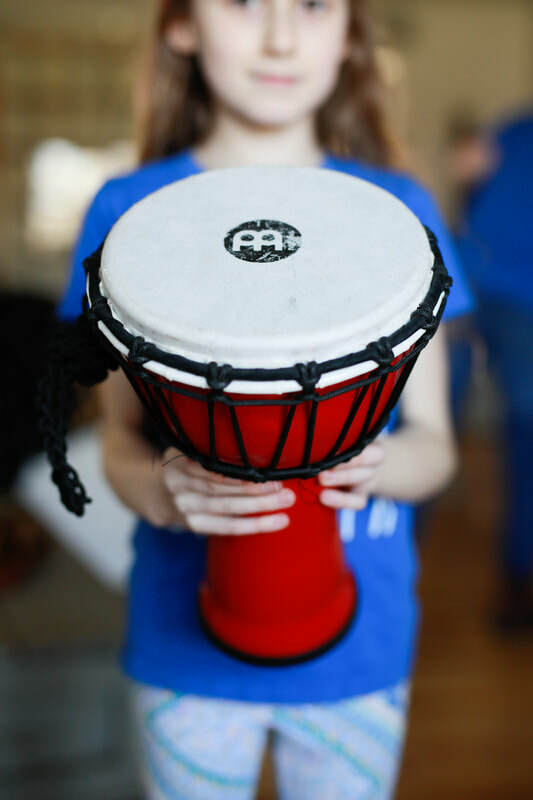 Upon their arrival to KC by way of Sandia Park NM, they befriended the renown music therapist, children's performer and drum circle guru "Bongo" Barry Bernstein. While assisting Barry with his work, the Draper's continued to develop their Drum Safari concept that began during their days in the Sandia Mountains of New Mexico years earlier. Unexpectedly, Barry passed away in 2009 leaving a void in the children's entertainment/education world. After some time the Draper's joined forces with Jeni and Jim Cosgrove with Hiccup Booking and began bringing their own brand of rhtyhm-based edu-tainment to kids throughout the middle US. 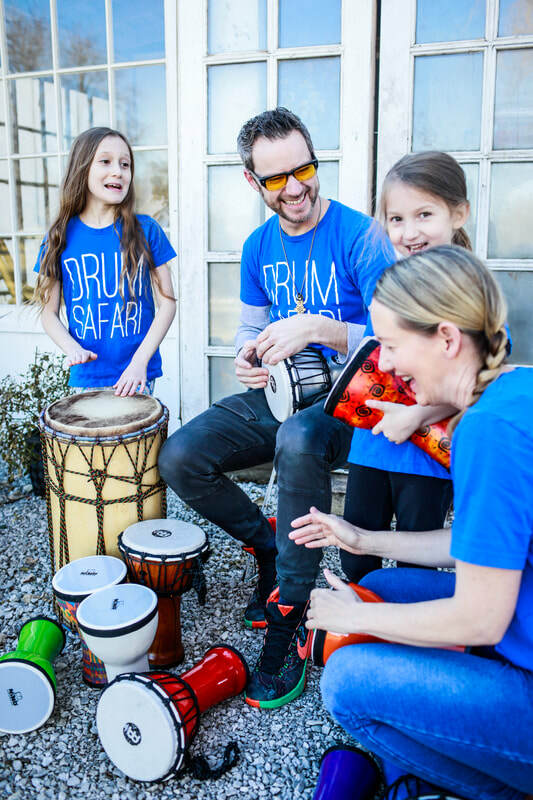 Today Drum Safari activities run by Brandon and Teryn also include their longtime friends Josh Conner and Amy Hearting who also teach and perform professionaly in the area. Josh is a middle school science teacher in the Olathe School District and Amy teaches percussion at MO Western as well as Central MO State. Brandon and Teryn performing for kids at the Palisade CO public library. Josh, Teryn, Eva, Ivy, Brandon and Amy posing for a cheezy pic!